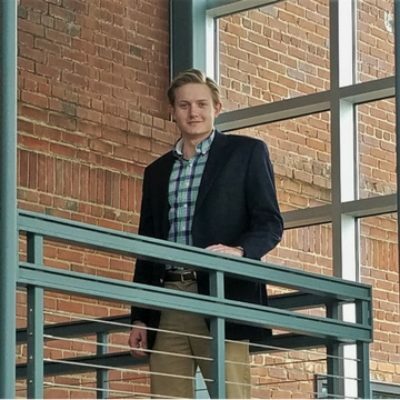 After three consecutive summer internships, Mark was invited to join the LandTech team in December 2017, immediately following his graduation from Clemson University. Prior to earning a permanent position with LandTech, he served in a variety of roles at Southern Vistas Inc., an award-winning full-service Landscape Design/Build company owned by his father. Beginning as a common laborer at age 12, Mark was promoted to project foreman by age 15, and eventually advanced to the role of Sales Manager at age 18. Years of experience in the field provided Mark with knowledge of site development and a thorough understanding of effective management practices. At LandTech, Mark coordinates site improvements with contractors and actively works to mitigate erosion losses at local development sites. He is also responsible for keeping LandTech’s development projects on schedule by proactively managing the permitting processes, which includes promoting effective communication and transparency with local regulators. Mark is a graduate of Clemson University and holds a B.S. in Real Estate Finance, with a Minor in Accounting.